"Taking Pools from Green to Clean is what we do best"
EZ Pool Service started designing and building swimming pools in 1975 in San Jose, CA. Since then, we have made it a point to stay up to date with the latest technologies and products, and have become Manteca's leader in swimming pool repairs, and maintenance. We pride ourselves on being the local Manteca dependable pool experts ensuring all of your Residential & Commercial pool and spa services are completed. We specialize in turning dysfunctional pools or spas into the pool/spa you've always dreamed of. We are fully equipped and trained to analyze any ongoing problem. We will get the best performance possible from the existing pool equipment already on the pool, without any additional charges. Problem pools and high maintenance pools are our specialties. Call us for a free estimate! Absolutely! Whether you're looking for a one time service, weekly service, monthly service, temporary service, EZ Pool Service will be happy to work with you. The EZ Pool Service crew is well trained to handle any type of pool related service you may want. Salt systems, solar panels, gas and auto controls ... EZ Pool Service will take care of it for you! What Makes EZ Pool Service Unique? EZ Pool Service wants to leave every Manteca customer 100% satisfied, and wanting to call us again next time. We take pride in our community and want to share our services with you. For this reason, EZ Pool Service has proudly donated free pool equipment for the local boys and girls club at no charge. You work hard all week, why spend your free time working on your pool, when you can be relaxing in it? Let EZ Pool Service do the work for you! Our experienced pool technicians will clean, repair, and maintain water quality at your convenience so you can enjoy your Manteca area pool anytime. We also believe in educating our customer's which is why we share our knowledge and will gladly demonstrate and explain new equipment as needed. Looking into buying a Manteca pool home? 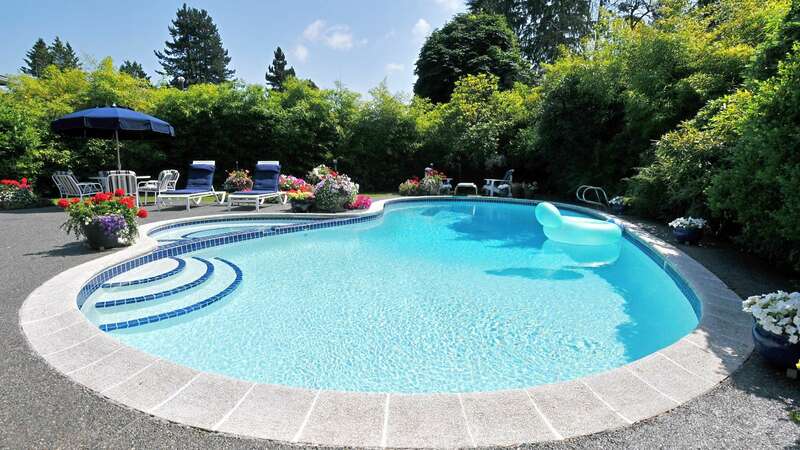 We proudly offer pool inspections for prospective homes! Be sure to have any pools or spas checked out prior to purchasing by a trusted expert in the field. To learn more about all of our pool services in the Manteca California area, call EZ Pool Service at (209) 210-2489 today! Call EZ Pool Service at (209) 210-2489 to discuss your Manteca area pool needs.